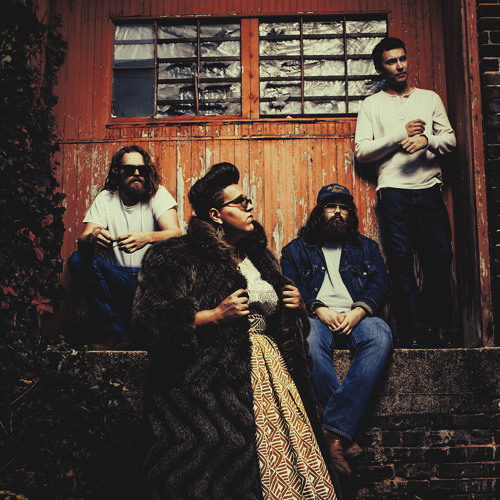 Sound & Color – the follow-up to Alabama Shakes’ Gold-certified debut album, Boys & Girls, which earned the group three GRAMMY® nominations, including a nod for Best New Artist – will be released in North America on April 21 by ATO Records. Rough Trade will release the album in the UK/Europe on April 20. Sound & Color demonstrates the tremendous strides made by Alabama Shakes since the release of 2012’s Boys & Girls. From the gently swaying, chiming title song to the garage-rock freak-out on “The Greatest” to the psychedelic space jam “Gemini,” Alabama Shakes build on the soulful blues-rock base and map a surprising, innovative new direction. “We took our time to write this record, and I’m really glad we did,” says lead singer/guitarist Brittany Howard. “We were able to sit down and think about what’s exciting to us. This record is full of genre-bending songs.” Sound & Color was recorded at Nashville’s Sound Emporium studio. The band co-produced the album with Blake Mills—a young guitar wizard who has helmed sessions by Sara Watkins and Sky Ferreira, and played alongside everyone from Norah Jones and the Dixie Chicks to Lana Del Ray and Kid Rock. The success of Boys & Girls paved the way for Alabama Shakes – comprising lead singer/guitarist Brittany Howard, guitarist Heath Fogg, bassist Zac Cockrell, drummer Steve Johnson, and touring keyboard players Ben Tanner and Paul Horton – to become one of the most celebrated live acts in the world, as they delivered unforgettable performances everywhere from “Saturday Night Live” to the main stages of festivals like Bonnaroo and Glastonbury. Boys & Girls charted in the Top 10 in both the U.S. and the U.K. and "Hold On," the Gold-certified lead single, was voted the #1 Best Song of 2012 by Rolling Stone.